Welcome to Vietnam Visa On Arrival ! If you are planning to arrive in Vietnam on an international flight landing at either Ho Chi Minh City, Hanoi or Da Nang airport.Vietnam does allow foreign travelers to obtain a Vietnam Visa on Arrival . 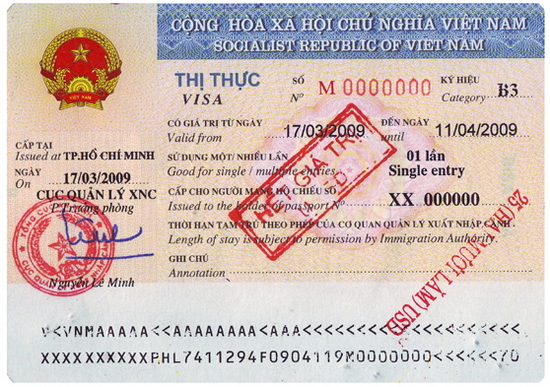 It’s important to note the visa must be applied for in advance online BEFORE arrival in Vietnam. Traditionally you need to get a Vietnam visa in your passport from a local embassy before entering the country. With our service, you don’t have to go to the Embassy or send your passport by post, safely, fastest, credible…. Depending on every Embassy in every country that our cost maybe lower or higher. You can contact Vietnam Embassy in your living country to get more information about Vietnam visa in here. Why choose Vietnam Visa on arrival ?